Today was the first day of lobster season. This shark got trapped in the net and ended up eating the net and getting trapped. The poor shark could not make it out alive so the fishermen took him out of his misery. 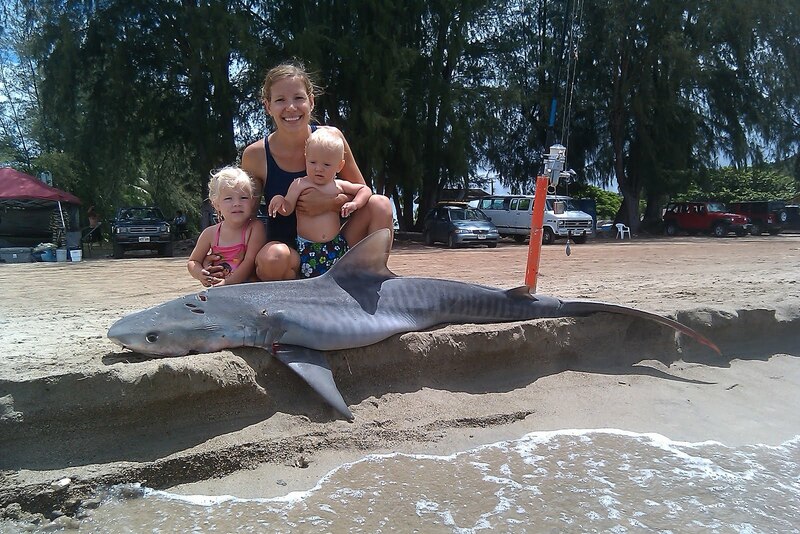 Hopefully momma shark doesn't get too close to shore looking for her baby. I can't believe the shark is just a baby. He was about 4 feet in length. They usually grow up to 18 ft long. The skin felt like sand paper. I got daring and checked his mouth. He had only teeth on the bottom and a couple on the top. I felt bad for the poor baby, but I sure wouldn't feel the same way if I had encountered him out in the water.